John Alleman, a 52-year-old unofficial spokesman for Las Vegas’s death-happy Heart Attack Grill, has died after suffering — yup — a heart attack. Alleman reportedly ate at the restaurant nearly every day, despite owner “Doctor Jon” Basso’s warnings that Triple Bypass Burgers really weren’t everyday food. This follows two similar incidents last year. How long before someone takes action here? Alleman’s death follows several previous fatal and near-death incidents connected to the restaurant. In March 2011, the 575-pound official spokesman for the restaurant’s original Arizona location died at the age of 29, just four months after taking the job. Basso said he was devastated by the news, but quickly relocated the restaurant to Las Vegas. 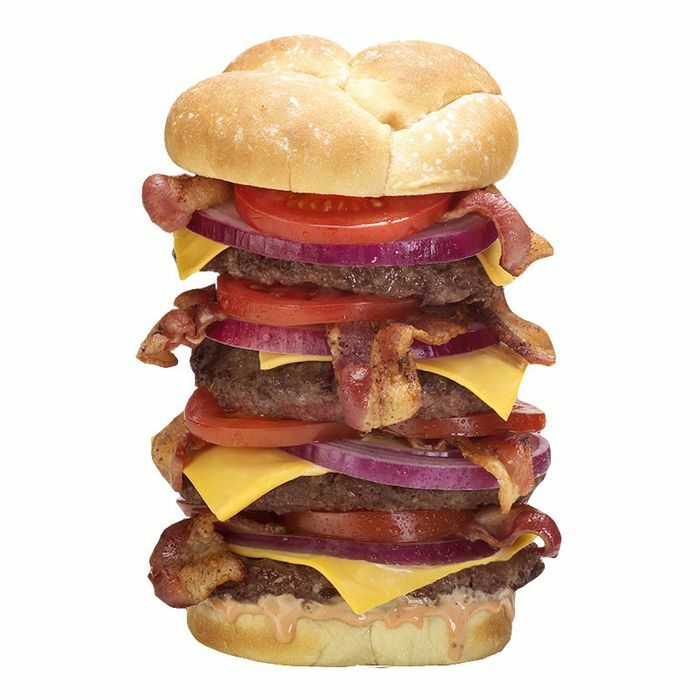 Following the move, in February 2012, a man in his forties went into cardiac arrest while trying to finish a Triple Bypass Burger, and was wheeled out to an ambulance. The incident got international press. That same month, the Guinness Book of World Records awarded the Quadriple Bypass Burger a prize for “most calorific burger,” clocking in at 9,982 calories.